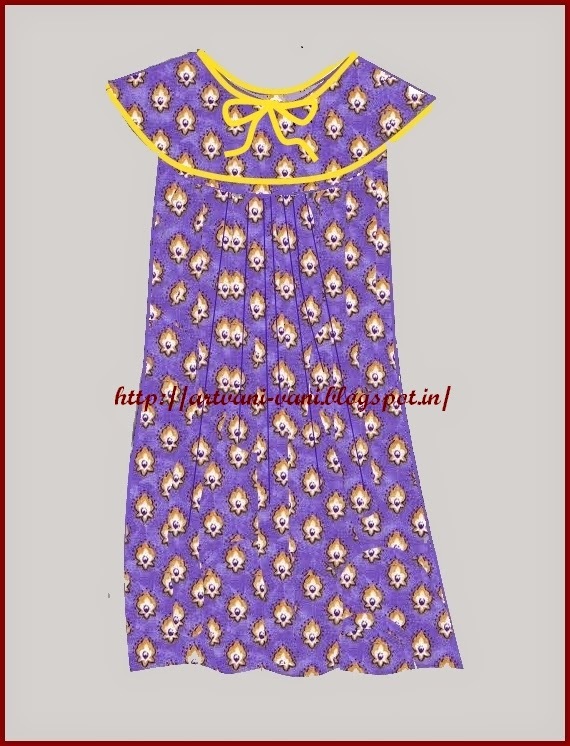 Prepare the draft basic simple night dress and make the following changes. Produce shoulder line J-H to R such that H-R = 1 ½ “. Widen the neck line as shown in the figure such that head passes through the neck. 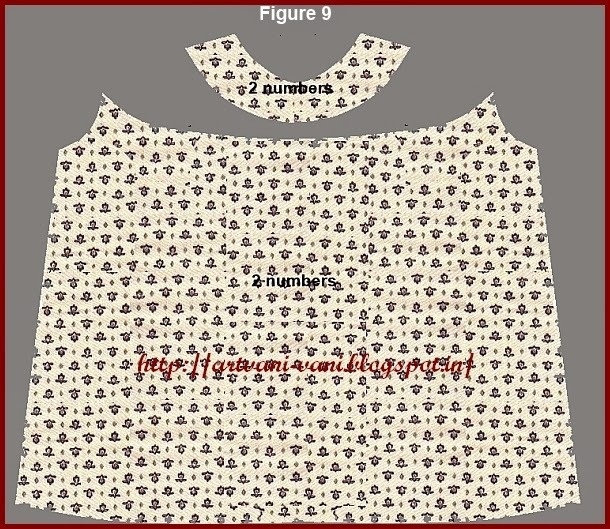 In this design there will be no neckline placket. P-Q is the new neck line.In this design front and back neck line is the same. From the point R draw new yoke line R-S so that the width of the yoke is same all over. 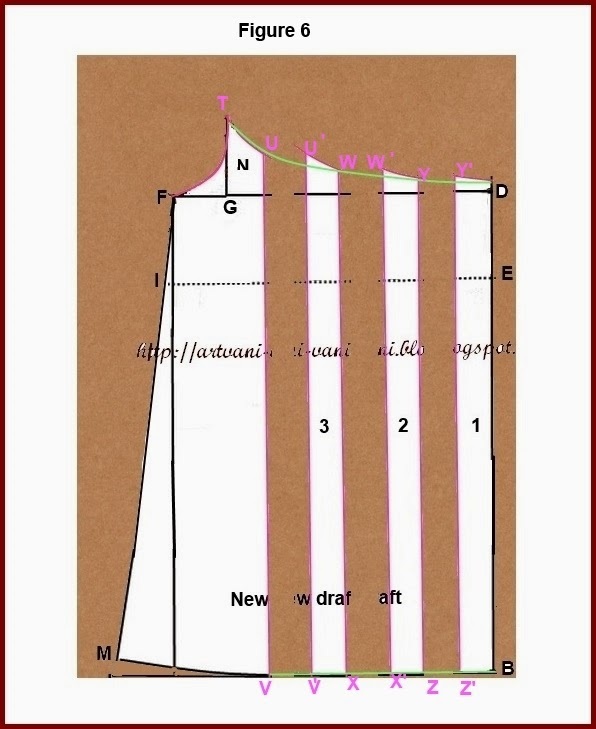 Mark new armhole line H-F in between the back armhole line H-O-F and front arm hole line H-N-G. New armhole line cuts the yoke line R-S at the point T. In this design there will be no difference between front armhole line and back armhole line. 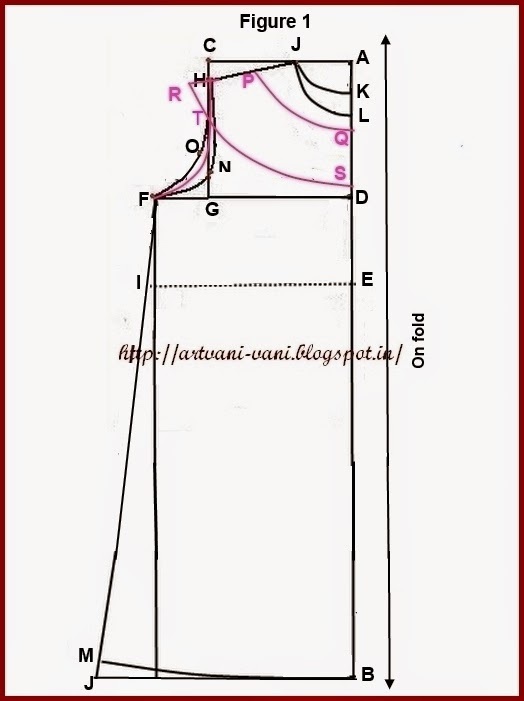 Separate yoke from the skirt by cutting along yoke line R- T-S.( Figure 4).Divide the skirt portion by drawing parallel lines U-V, W-X, Y-Z as shown . Cut the draft along these lines. (Figure 5) . Place the draft on another sheet of brown paper and spread the portions as shown in the figure 6 and Fix them with mask tapes. Join points T and D by a smooth curve. 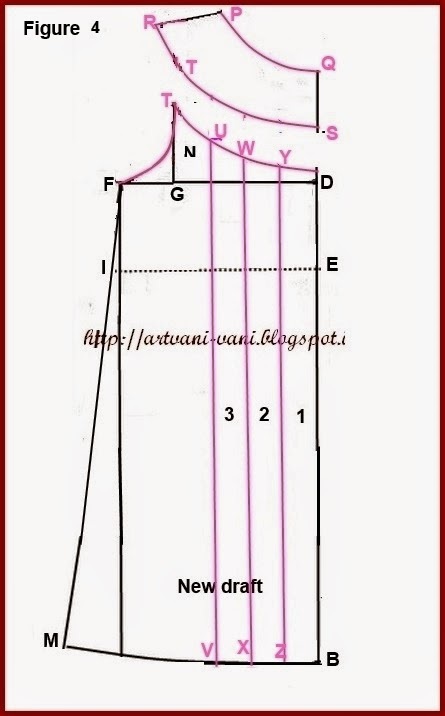 Cut the pattern pieces using these drafts as shown in the layout.Do not forget to add ½” seem for skirt top and yoke bottom as shown by purple lines. Follow the method as explained here. waiting to try this one. You are my tailor guru. Can you please show the method for boys shorts and ladies shrug. madam pls give a tutorial for boys shorts . Thanks for sharing details. Madam, can you please show the method of folding cloth for stitching a nighty, like how many folds is required and also saree blouse. 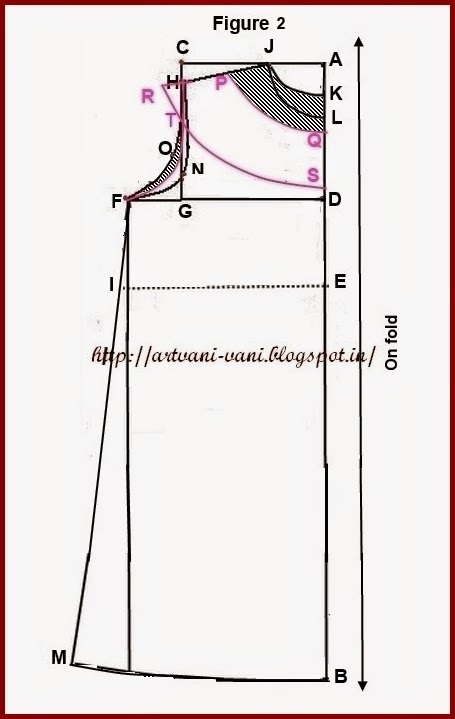 Thanks..
there is no fixed measurement.if the stripes are equal in with it is enough.Just divide the portion which comes in the middle of the front. I am a person with simple tastes. like teaching. COPYRIGHT Please contact me if you want to use the images or text from this site. 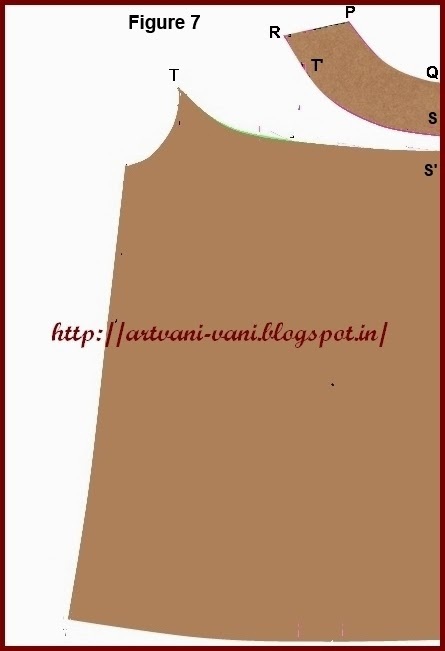 You are welcome to link to this blog and to any post of this blog. Do NOT post my tutorials on your sites without adding the hyperlink clearly in your site. Do NOT translate tutorials from this blog into other languages on your site. 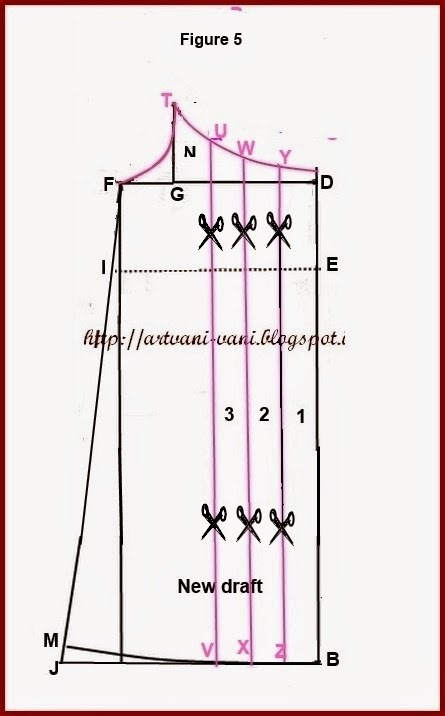 Method of making pattern for "Low cowl neck line"
Method of sewing zip to a garment. 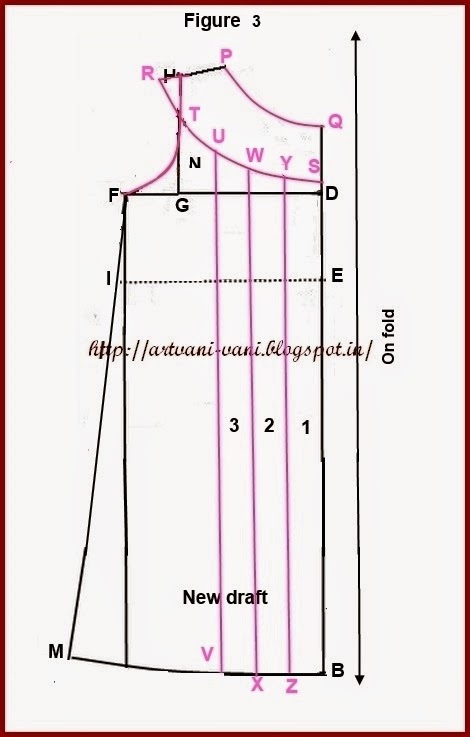 Method of stitching "High V neck"